Do we call our state a developing or an underdeveloped State? Both do not fit the category; as there is very little to no development to call our state a developing state and yet we have more than abundant resources to refer to ourselves as an underdeveloped State. Constructing buildings for commerce and trade, setting up business franchises etc. are not the mark of development. I could not help but relate the exact unavoidable notch which I find imperative for development of roads in our state. Would u drive a BMW or a Mercedes Benz on a road infested with pot holes every few meters. Or take a stroll through the puddles and muddy sidewalks? The condition of the roads here are pathetic, feeble and distressing. I would rather ride a bicycle over a smooth road than drive a car on such roads. Change has been the most contentious and urgent issue discussed for the past decades in relation with political situation in our State; and yet there is no sign, not even a hint towards a positive shift in our society. To contemplate on this subject is like crying over spilled milk. Our State is in a fix. It is a make it or break it situation. Discussing about the political and economic foundation seems futile as there has been very less progress that can be accounted for. Metaphorically, our State is an egg that has formed into a chick before its time. 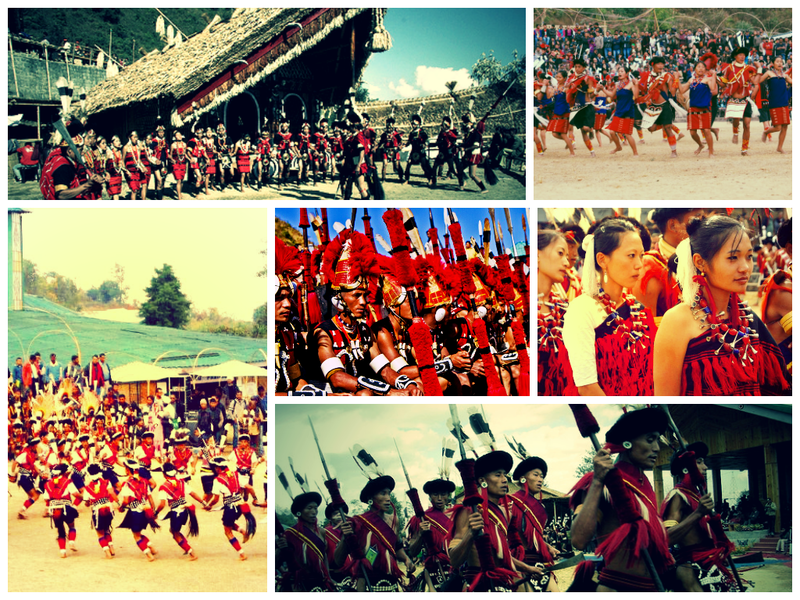 How long has it been since civilization caught up with Nagaland? Cell phones were practically introduced just a decade back. But we have managed to adapt in coping up with the lifestyle and luxury of others. The standard of living among the common people in Nagaland is not by choice but by constraint. Not everyone can afford to enjoy the luxury of owning a car or a smart phone; which is supposedly the trend of this generation. A rich man by choice lives a normal life, even when he is capable of living in luxury. A normal man works day and night at the office only to fetch enough to survive the month for his family. The anomaly here is quite din. A rich man has the luxury of living the lifestyle of his choices and the other has no choice but work to make ends meet. Our society is beginning to function in that exact manner. Money was and is always going to be a major concern in our lives. It is true that it is difficult to balance the array of money, but the people should consider their priorities and change their perspective from wants to needs; only then will there be prospect for meaningful living. Money is an asset which cannot be denied and its importance ignored. It is an essential tool which runs our society, thereby making it a necessary evil. No single individual can be blamed for this swift and pathetic development in our State. If we closely look around, we will understand how naïve society has become. We have fallen so low to a point where our morals and virtues are now substituted by a bill. We have fallen prey to the foul and badgering delight of money. It is hysterical when we hear that the government has limited funds which cannot be made use of randomly unless for a definite cause. “The government has no money” they claim. But once we step out of our homes, all we see are construction of private buildings and complexes. Where are these resources to construct such buildings coming from? I dare not comment in this matter. If and when such questions begin to unsettle like it has in mine, I am certain you will understand the whole dynamic of the system. This actually is an abomination to democracy; we are secretly and yet openly being cheated upon. This is where we should be smart and diligent and make our stand. Vote for the right and potent candidate, as democracy itself says that it is a government of the people. We should not be credulous or be swayed away by the contention of money or personal gain. It is just a momentary joy that you find in money during such period. In a society where moral values and ethical culture are solely meditated upon, it has now reached an era of confusion – a confusion conventionally stagnant that many would find it to be a waste of time to ponder upon. Tribalism, nepotism, favoritism and corruption have prominently become the voice of our society, and the fact that our society quietly accepts such practices. Such practices have taken a strong foot hold in our society, creating animosity among our own people, making room for hatred. Our society is in desperate need to abate or even to a possible extent nullify such practices and filter our society with the good old moral values that creates a feeling of oneness amongst us. Our State is surviving like a narrow bridge, which makes it important for us to expand the bridge and make way for a better and prosperous future. There is a merit to all the disadvantages and probes because there can be progress only with better understanding of the mistakes made. I remain optimistic about the future of a better Nagaland.